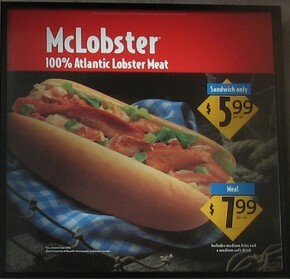 Home » Trending Now » Why is McLobster trending? The McLobster rumors are false. While the sandwich does exist in parts of Maine, there is no release from McDonald’s to support the rumor that this sandwich will be available anywhere else but there. Quit your crying, you weren’t going to buy it anyways. It’s served on a hot dog bun, sells for $6 Canadian, and is 100% lobster meat from the Atlantic Ocean.